A reader sent me a long comment in which he disagreed with what I had written in my last post. I welcome comments and disagreements in general. Hearing pros and cons helps everyone think. In this case it made me think that perhaps I had not been clear enough in what I was saying, and that it might be helpful to expand and hopefully to clarify some of the points I was making. In his comment, the reader writes, “It has not been my experience that ‘children are always going to dislike what parents expect of them’. I would expect this if I expected things of them that were in conflict with their nature and temperament, but not if I encouraged them in ways that were harmonious with those qualities.” He is disagreeing with the sentence in my post that he has quoted here. From infancy on parents play an important part in leading children on to next steps in development. 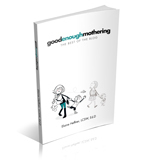 A mother tries to determine if her child is ready to give up the bottle or breast, if he can handle utensils, if she is ready for toilet training, if he is ready to be moved from the crib to a big bed. It is not always clear when it is time to expect that these steps can be taken. Children’s reactions to such changes can be confusing. As children grow, develop language and cognitive skills, they assert their wishes more clearly and their resistance to parents’ wishes and expectations may become more direct. At times, as with two year olds, the big NO! may be part of the beginning push for autonomy. What comes with that is ambivalence about dependence and independence, the wish to be taken care of by mommy while also wanting to be free of her constraints. Children often want to do the things they find more pleasurable than following certain routines, or doing their homework. There are times when we would all rather goof off than be responsible. Parents have the job of helping their children move toward being more, rather than less responsible. The fact is that living with other people, first in a family and then in the world, means that we have to give up some of our own needs and wishes and begin to consider the needs and wishes of others. This is often not easy to do and there are going to be conflicts along the way between parents and children, just as there are between adults. In raising children the challenge is twofold. The first challenge is to determine what is reasonable to expect of our child at any given point in development. The second, is to express these expectations in a way that promotes cooperation rather than conflict. What makes this difficult is that children are all so different from each other, and there are no hard and fast rules or timetables. We may have general guidelines about children’s development but each child marches to his or her own drummer. We have to know our own child. Where we get into trouble is by following some manual, or the “expert” who says the baby should be weaned by this age, or toilet trained by that age. But using our own judgment and knowledge of our child is also difficult because children’s behavior can often be confusing. If a child refuses milk after you have stopped the bottle does that mean she still needs the bottle? If he refuses to use the potty does that mean you started toilet training too soon, or are using the wrong method? If an older child refuses to go to bed should he just be allowed to stay up? If she won’t get dressed on time for school in the morning does that mean something is wrong, or does she need to be disciplined? If he wants an extra half hour of tv is that okay? The fact is that aside from matters of health and safety it is not always clear when we need to stand firm on our requests and when to recognize that something is so important to our child that we need to compromise on our own wishes. This still leaves us with the question of how to set our expectations in ways that promote cooperation rather than conflict. I think many parents get stuck here trying to use power as a solution which leads to resorting to punishment. Conflicts then escalate and end in a no win situation at best. Which takes us back to the matter of happiness. In working with parents I have found that because it is difficult to determine which expectations are reasonable, and because children often protest in unreasonable ways, children’s seeming happiness or unhappiness can too easily become the guide that parents use. As parents, we don’t like it when children are angry at us or seem unhappy over what we ask of them. In an ideal world children and parents would cooperate happily. In the real world we have to question whether children’s happiness is the best measure of whether or not we are on the right track in what we expect of them. Next Next post: How Much Is Too Much?